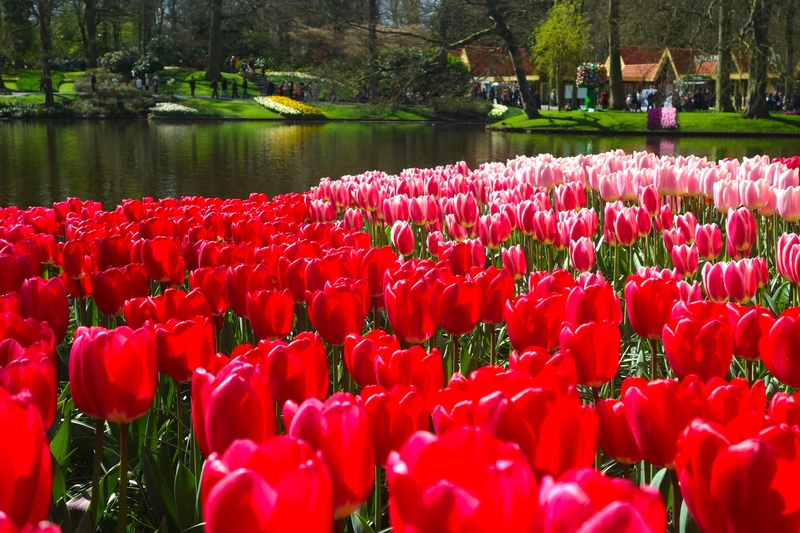 Keukenhof is a famous springtime garden and tourist trap based in Lisse, Netherlands. Like all tourist traps, there are stunning aspects to the place, if one can manage to ignore the streaming masses of humanity. For those not in the Netherlands, these are good comparisons: The Peak in Hong Kong, Old Faithful in Yellowstone and West Lake in Hangzhou. The key difference being that with each of these other attractions, one can simply walk 500 meters away from the central tourist spot and find peace, quiet and beauty. 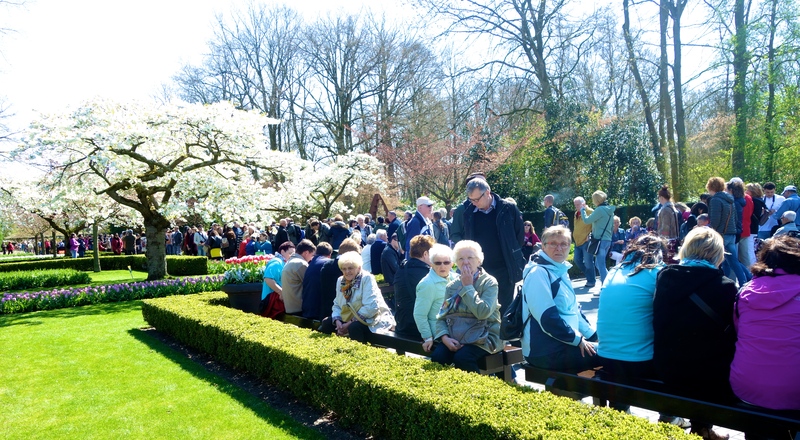 Keukenhof, however, is an enclosed garden and once you’ve entered, there is no relief. I strongly recommend that you spare yourself the trouble. 1. Exit the motorway and creep toward Lisse as part of a long line of cars and buses. 2. Ignore the feeling in your gut that instructs you to leave immediately. 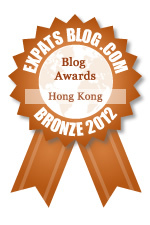 Instead pay sixteen Euros and enter the gardens. 4. Strike out in whichever direction appears to be the less traveled by (though it will not make a difference). Take a close-up photo of the tulips, crop out a few legs and arms and post it on Facebook along with something gushy about how lovely the Keukenhof flowers are. 5. Get stuck in a human traffic jam in the middle of the pond. 6. Attempt to take a photo of your loved ones amongst the flowers. Come to terms with the fact that a minimum of five strangers will also be in the photo. 7. Be overcome with hunger and seek out lunch. 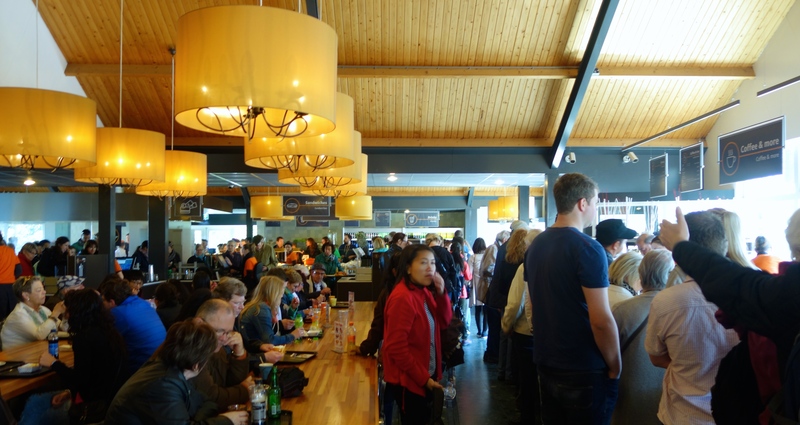 Send part of your group to battle for a table while you queue to buy food. 8. Step out of the lunchroom and realize that the number of people inside the garden doubled while you were eating a soggy panini. 9. Wander through crowds in a daze until you feel you’ve gotten your sixteen Euros worth. 10. 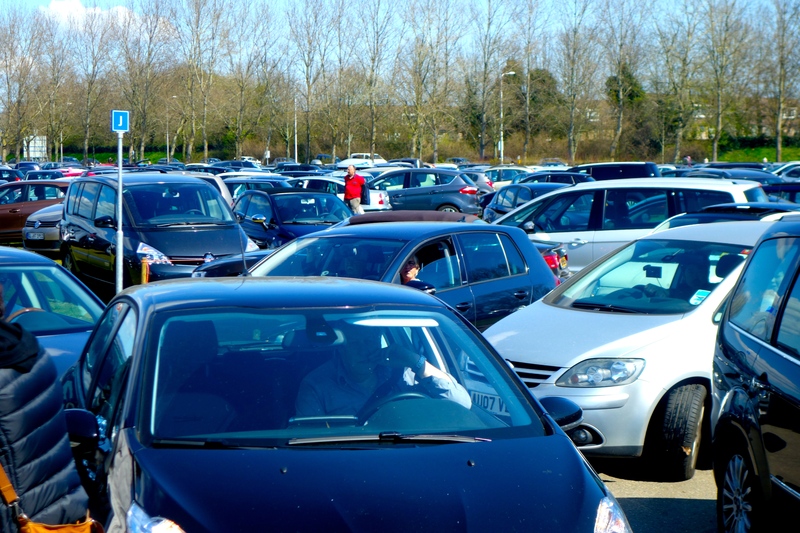 Leave the Keukenhof and encounter this unending snarl of traffic in the car park. 11. 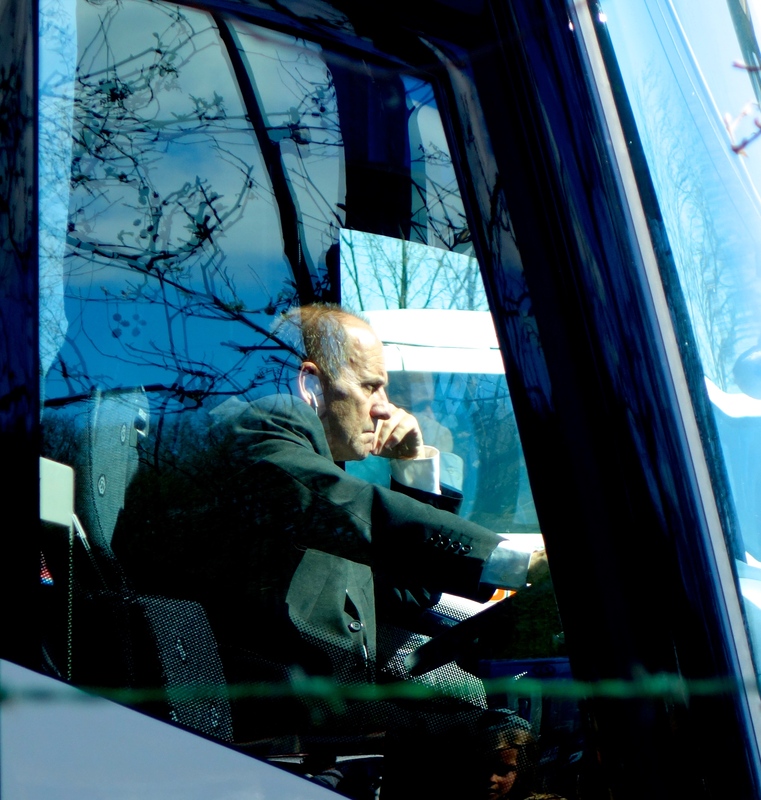 See your feelings precisely reflected in the face of this bus driver. 12. Vow never to return. You went on a weekend am I right? Yes, on a sunny Saturday. Now you’ve scarred me completely off Efteling! Wow, very enlightening post!! 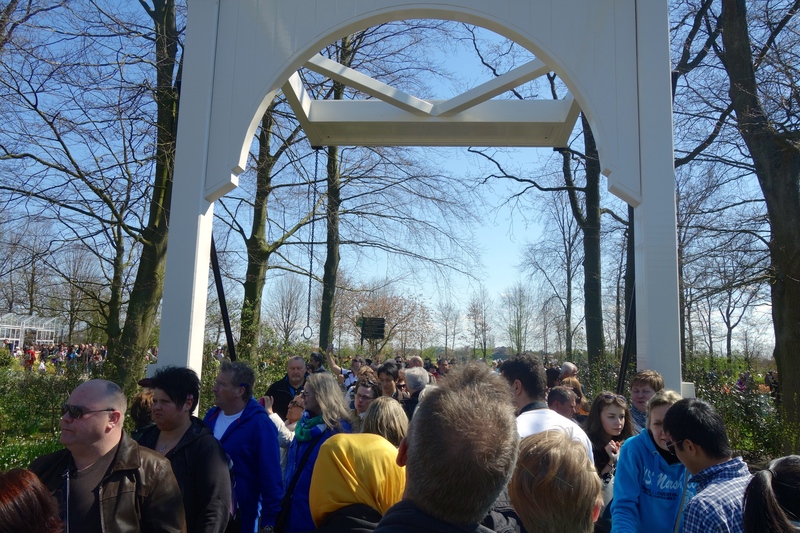 I had always wanted to visit and see the tulips, never realised the crowds would be anything like this, incredible! Thank you very much, I will definitely think twice!! Maybe on a rainy weekday it could be pleasant. Wandering around the actual tulip fields (just outside the Keukenhof) would also be nice and uncrowded. Sounds like a much better idea!! 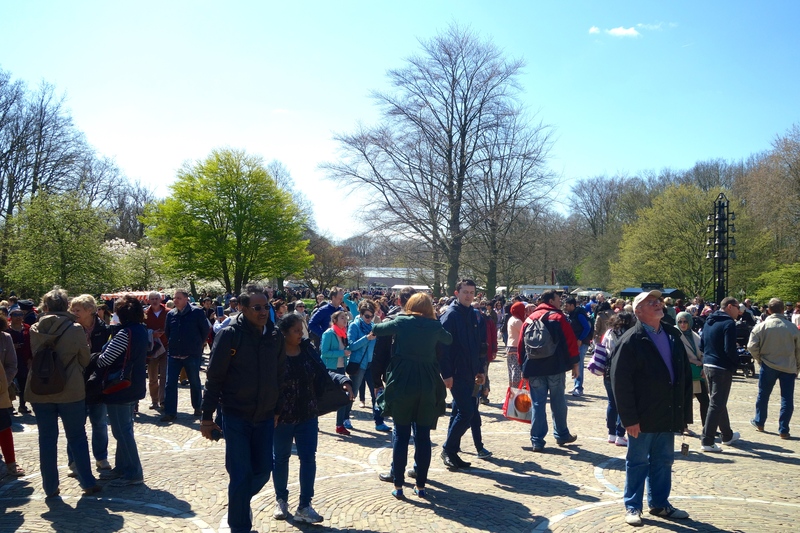 Wish I’d have realized it before my own day out at the Keukenhof! Sounds like you experienced my nightmare, just a different location. A neighbor (Netherlander) recently told us about Efteling. We looked it up…not sure if I could dare enter. I’m sure my daughter would have the time of her life…not sure the parents would survive. Perhaps you should save Efteling for a cold weekend in January. Five years ago we visited Euro Disney on a cold, winter weekend and had the place to ourselves. Though I’ll admit to riding the Pirates of the Caribbean multiple times simply to warm up! That can be their slogan for next year 🙂 I’m going to a blossom and wine festival this weekend – might be much the same deal! And so? Was the blossom and wine festival jammed? Did the wine help? It definitely did 🙂 It was pretty jammed but it took over an entire town so I didn’t feel that crowded. It was an awesome day out! Just doing my part to make the world a better place. Exactly like the experience at the Tokyo Imperial Palace, which you don’t ever see! Its just thousands of people going for a walk together in the woods! Although it is free. That sun looks bright, btw. Who are these evil travel photographers who edit out the hordes of people! I take it that I should either give the Imperial Palace a miss or come prepared to take sneaky pictures of people using selfie sticks? That sounds like hell. In Japan they love doing stuff like this; going to overcrowded and expensive places to look at stuff. I have spent way too much time shuffling round illuminations, Autumn leaves and sakura to want to go to this place!! How interesting that you’re the second person to compare this to sight-seeing at beauty spots in Japan. I thought I’d always like to see the cherry blossoms in Japan one day, but it sounds like I should think long and hard about that! Been there. Had more or less exactly the experience you describe, except I didn’t eat a panini. I have a short list of things that you have to do at least once (but never more than once) when you’re living in Europe, and this is in the top 5. 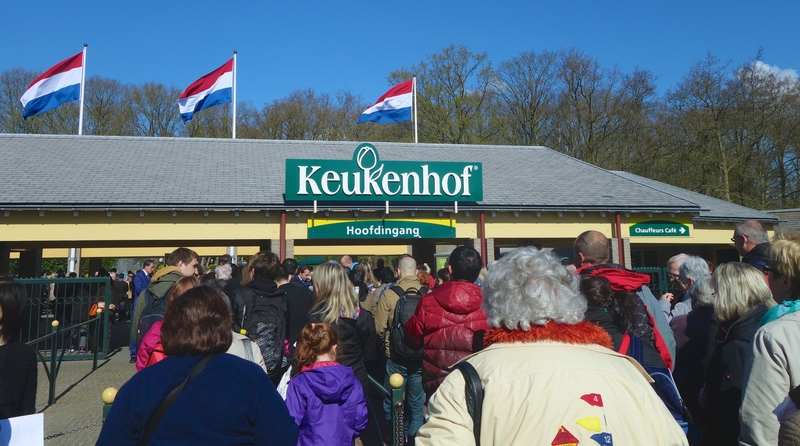 If Keukenhof is one of the top five, I’m dying to hear what the other four are. Please share!